I’m glad you found my post and want to know what the best coffee grinder is. 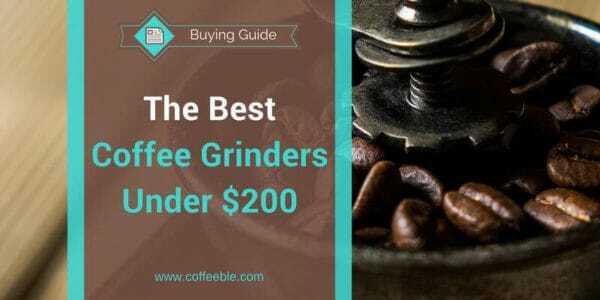 But before we grind some beans together I have to be brutally honest by telling you, that in this guide I will only recommend grinders below $200! I refuse to tell you that you have to spend more than $200 to get an average grinder because for a decent cup of Joe at home they are simply not needed. With this saying, I cannot deny that there are much better coffee grinders out there on the market and worth their money, but they are just too expensive for most of the average home coffee brewer. I also have done a lot of research and almost everywhere I read statements like ‘never use a blade grinder at all’ or ‘grinders below $200 are junk’. While those reviewers surely have reasons for their judgments, I think it’s just not fair to tell people to spend so much on a grinder without knowing their personal situation. Maybe you have had Folgers Ground Coffee in work for years and just want to improve the quality of your coffee but can’t spend a fortune. Or you simply don’t think you need a 200 Dollar grinder for the one cup of coffee a week you drink. And when you ask the experts about their recommendations you usually get the answer, that there is no good grinder in this price range. Since you are still here it looks like I somehow guessed your personal situation correctly and I appreciate your trust in my coffee grinder recommendations. For you who are planning to move on to the next website please give me one last chance and look below at my ultimate Coffee Grinder Guide before you hit this ugly back button. Maybe you find the grinder that perfectly suits your needs. Well then let’s grind some beans together and hopefully find the best coffee grinder for you! By the way: in between writing this post I read an article about grinders and I read the following about a specific grinder: ‘…the $299 entry-level grinders…’. Geez, my laptop that I’m writing this post with, was less expensive. Blade Grinders are loved by the consumers on a budget and hated by the baristas and coffee connoisseurs because of their limited performance. Those versatile units only cost you around $20 and can grind coffee beans, spices, nuts or any kind of grains. But why do the pros hate them so much? Because Blade Grinders have two disadvantages that may be of no concern for you at home. With a blade grinder, you don’t have the consistency as with burr grinders, especially if you use a coffee maker that requires a coarser grind like the French Press. When most of your beans have been sliced coarsely enough, a lot of them probably are still whole. And the more you grind to catch all of them the finer the grind will be. And then it’s too fine for the French Press. Coffee experts also claim that heat from the spinning blades can burn the beans which can result in a more bitter taste of the final brew. These two statements should not discouraged you from getting a blade grinder. I just want to make you aware of their limitations. And if you just want a decent cup of Joe, are on a budget or want to try freshly ground coffee beans instead of using the ground coffee from the shelf, blade grinders are more than fine. Make sure to compare the table above to see if the blade grinder of your choice is recommended for your best coffee maker. Check Blade Grinders At Amazon! There are two different types of burr grinders, disk grinders, and conical grinders. The Disk Burr Grinder has two serrated, concave rings that are placed parallel on top of each other. One of the two grinding disks is fixed while the second one is usually powered by an electric motor. The coffee bean is forced from inside to outside through the grinding discs being increasingly crushed into smaller chunks. The distance between the two grinding disks is responsible for the fineness of the grind. The conical grinder consists of two cone shaped interlocking cylinders. In contrary to disk burr grinders which rely on centrifugal force (fast spinning disk), the conical grinders force coffee beans with the help of gravity through the burrs. The advantage is that the cylinders can move slower and thus create less heat. If you have used coffee grounds from the store and want to make a first step towards a better cup of coffee, you can definitely start with a blade grinder. However, you should be aware of the limitations. The coarser the grind should be, the harder it is to achieve a consistent grind with a blade coffee grinder. In this case, I recommend a Burr Grinder. Disc Burr Grinders are usually more expensive than Blade Grinders but cheaper to manufacture than conical burr grinders. This reflects in cheaper prices compared to conical grinders. They also run at lower speeds than blade grinders which could reduce heat. Conical burr grinders run with even lower speeds, are very quiet and create almost no heat and static. 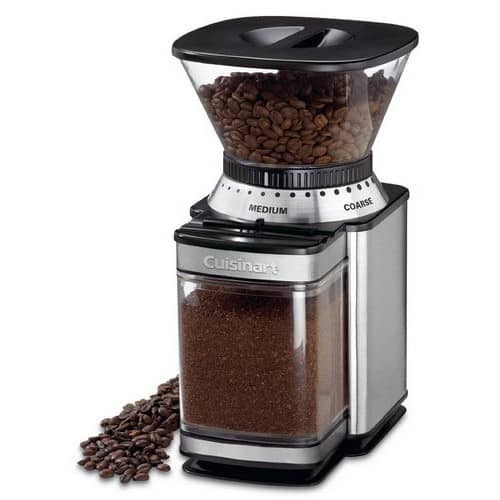 I would recommend you to compare the Ultimate Coffee Grinder Table above and then pick the grinder that is recommended for your type of coffee maker and is within your budget. Check Burr Grinders At Amazon! 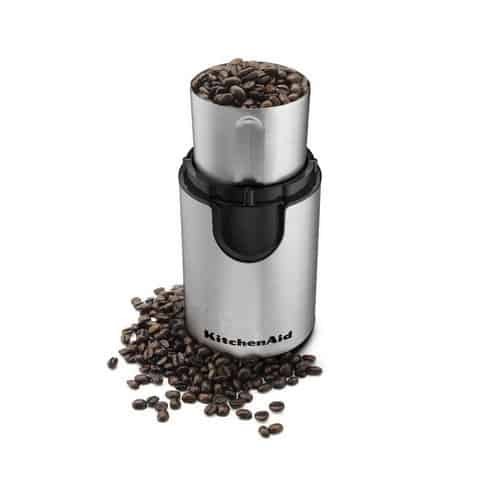 As the name already indicates, the whole beans are ground manually with these hand coffee grinders. Their advantages are that they are cheap, make no noise and you are practically your own boss regarding the coarseness of the grinds. Since manual coffee mills do not require any power supply, they are very popular with travelers or campers. Turkish Coffee requires very fine ground coffee, even finer than espresso. 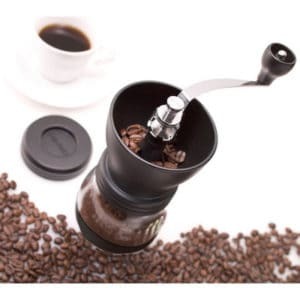 Regular blade or burr grinders are mostly not able to grind that fine and even commercial burr grinders need special burrs designed for Turkish Coffee. Don't believe the settings of some grinders when they indicate they are able to grind beans for Turkish Coffee. Because typically the finished beans are still too coarse. on the market that are originally Made In Turkey. They have a specific set of Turkish Coffee burrs installed and are geared to the right grind size for Turkish Coffee. 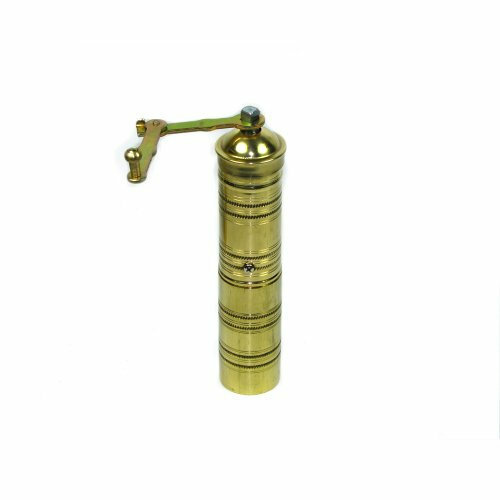 Check Turkish Coffee Grinders At Amazon! I have attached a video that you should watch. Two ladies from Seattle Coffee Gear are testing some entry-level coffee grinders. All four types of grinders make a good cup of coffee. Burr Grinders are definitely the better choice to get a consistent grind. But if you don't want to spend that much money you still get a better cup of Java with a blade grinder and freshly ground beans than buying pre-packed ground coffee from the store. 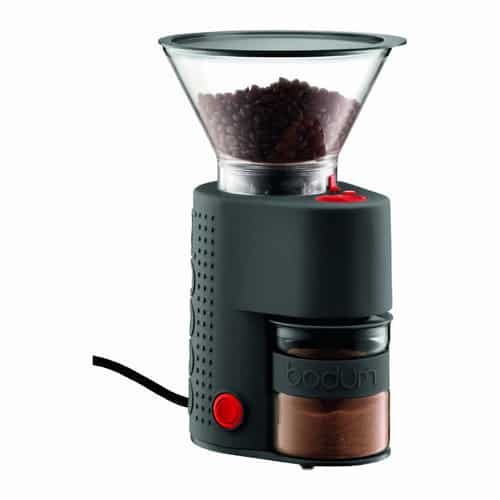 So tell me, what is in your opinion the best budget coffee grinder?